Be a part of something better. Responsible business practices, combined with collaboration and innovation, can bring about powerful change in markets and societies – proving that principles and profits go hand in hand. The UN Global Compact provides a universal language for corporate responsibility and provides a framework to guide all businesses regardless of size, complexity or location. We’re your guide every step of the way. We’ll help you commit to, assess, define, implement, measure and communicate your sustainability strategy. 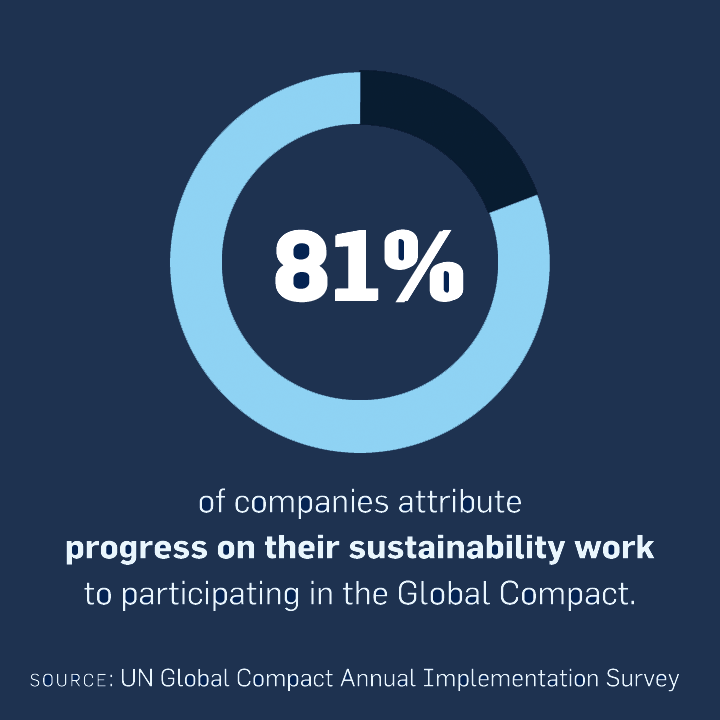 Discover how the UN Global Compact supports businesses and see how you will benefit. When you join the UN Global Compact, you’re taking an important, public step to transform our world through principled business. Participation makes a statement about your values, and it benefits both society and your company’s long-term success. You can help make our world better. Businesses, civil society organizations, business associations, labour organizations, academic institutions and cities are all invited to join us in shaping a sustainable future. Whether you are new to corporate sustainability or more advanced, there is a place for you in the UN Global Compact. Is the UN Global Compact right for you?